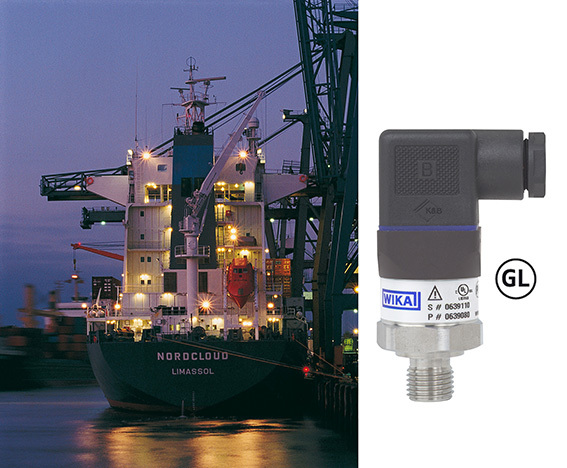 Another seal of approval for WIKA's A-10 pressure transmitter: Germanischer Lloyd has awarded the measuring instrument with GL approval. The certificate has been issued for “Environmental Category D, H, EMC1”. The now approved A-10 will be used primarily in conventional applications on-board ships (engines and automation technology). It is, however, also suitable for other offshore applications, such as in wind farms and on oil rigs. 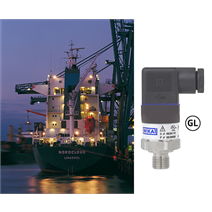 The pressure transmitter has been designed for a wide spectrum of applications in industry. It can be delivered with all the standard process connections and output signals, as well as international approvals such as cULus and GOST-R.